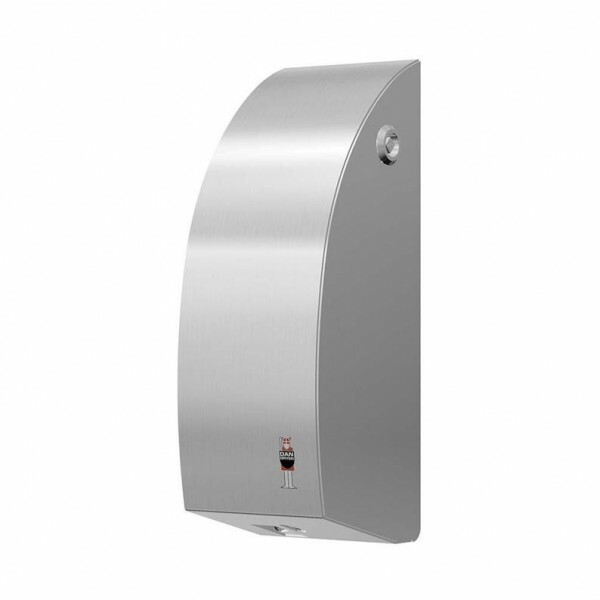 Dan Dryer touch free soap- and disinfectant dispenser made of brushed stainless steel ideal for all types of public toilets. Productinformatie "Touch free soap- and disinfectant dispenser made of steel from Dan Dyer"
Elegant and reliable soap dispenser ideal for all types of public toilets. The colors in the exclusive range are not available in stock and can only be ordered as specials for each order. If you have a specific request, you are welcome to contact us. Verdere links naar "Touch free soap- and disinfectant dispenser made of steel from Dan Dyer"
Ons commentaar bij "Touch free soap- and disinfectant dispenser made of steel from Dan Dyer"
Klantbeoordelingen voor "Touch free soap- and disinfectant dispenser made of steel from Dan Dyer"